Kayla Duckworth thanked her brother for the new ride on Instagram. There are perks to being related to Kendrick Lamar. Not only do you get bragging rights and complimentary concert tickets; the graduation presents aren’t too bad either. Kayla Duckworth, the younger of sister of Kendrick, revealed her present her big bro got her following her grad on Instagram Friday, sharing a picture behind the wheel of a 2017 Toyota. Sure, it’s not the flashiest ride we’ve seen a rapper purchase, but it still makes a pretty awesome gift. View Kayla’s post above. This isn’t the first time Kayla’s Instagram has made headlines. 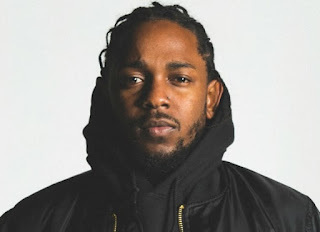 In 2015, K-Dot’s sister shared a cryptic post which was speculated to be the release date for Kendrick Lamar and J. Cole’s long-awaited collaborative project. However, the mythical tape has yet to surface. Speaking of Kendrick and cars, the rapper recently appeared in the Nabil-directed video for Mike WiLL’s “Perfect Pints,” where he can be seen driving a flying Chevy.